Mergers and Acquisitions - Pivotal Law Firm, Inc.
We’ve closed over 300 mergers and acquisitions, including sales of assets, sales of stock, mergers and other consolidating transactions with aggregate purchase price consideration of over $1 billion. We’ve represented both Buyers and Sellers. 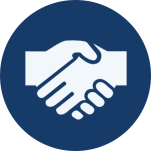 We understand how critical it is for your success to make sure that the transaction is handled competently and in a cost-effective manner.